Strong passwords will never be forgotten again. Do you want to have different passwords for each website, that are strong and complex, without having to remember them all and without having to write them down or saving them somewhere? Haipass is a FREE service to help you to have strong, long, complicated passwords for your accounts without the need to remember them. The only thing that you have to remember is just a secret word or phrase. Why do I need strong passwords? A cracker with a brute force attack merely tries combination over combinations until he finds your password. So if the password is short or simple it can be easily guessed. A cracker uses an automatic program that, using a file with words commonly used as a password, attempts to login to the site with every word in the file. If the cracker manages to get the database containing users passwords of a particular web site as a text file, he can use it to do unhindered attempts. I want to use Haipass for the password of my Facebook acount. Let me know how to do it. Come to https://haipass.com/generate-password and enter in the 'Website or application name' input (the first field) the word 'Facebook'. Then enter a secret phrase, that only you know, in the 'secret phrase' field (the second field). This is your secret key that will be used to generate all your passwords. Do not forget it, and don't lose it, otherwise you will need to reset your passwords for all of your accounts that you have used Haipass for the password. Click the 'My Password' button and copy the password that Haipass will generate (you can copy it by clicking on the icon on the screen that will appear to you). Use the copied password for your facebook account (Your facebook password can be set both in the registration step or through the settings panel). Every time you need to log in on Facebook, come back to https://haipass.com/generate-password, put the word 'Facebook' in the first field, put your secret phrase that you have used for the first time in the second field and click the 'My Password' button. Copy your password and use it to log in. Why should I use Haipass? Haipass frees you from remember or write down the passwords generated. You just need to remember the name of the site and your secret phrase. So no more files with passwords around, no more passwords stored in browsers and no more passwords put on a database of a password manager. To have strong passwords that can not be guessed with the various types of attacks. Haipass passwords have a very high entropy and even with the most powerful computers it would take millions of years to find them. Whether you are with your PC, or with your cell phone, or your tablet, or whether you're at a friend's home on his PC, it's enough to come to haipass.com and get your passwords. To have your passwords you do not have to sign up, neither log in nor pay. You do not have to do anything other than writing the site name and your secret phrase and clicking one button. 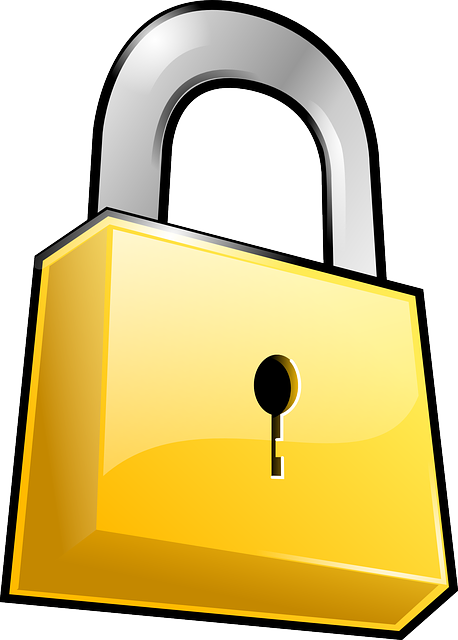 Use ssl for encrypted data transmission. In this way, no one will be able to intercept the transmission of your secret phrase, nor the generated passwords. The code of Haipass is open source and is hosted on github so you can view it if you want. The algorithm used to generate the passwords uses a hash function of your secret phrase with a secret key that only Haipass has. In this way it is impossible for a craker to bruteforce with dictionary (both online and offline) to find out your secret password. None of your passwords generated with Haipass are NEVER Saved anywhere . See Haipass as a pure function that has two inputs: the secret phrase and name of the site you want to access.Given those inputs it will always generate the same output. Also since you do not have to sign up and you do not have an account on Haipass you will not need to save your passwords. On Haipass passwords are generated given two inputs: your secret phrase and the name of the site that you want to access. Your username or the email are not used. Although Haipass can know the generated passwords, there is NO way to find out who you are, neither your name, nor your username or your email. So Haipass will never have all the information that is needed to know for access into your account. And again Haipass will never know who you are. Ok, let me try it! Haipass service is offered by Haiaty Varotto Silva Fonseca. Haipass does not keep any of the generated passwords saved in any database. Haipass can not come up in any way to the user's identity. Haipass does not keep any secret phrase in any database, and being unable to know the identity of the user it is not possible in any way to get the secret phrase back. You must keep your secret passprhase with care, because if you lose it you will need to reset your passwords using another secret phrase. If it is discovered or stolen, you must immediately change it, and then change your passwords on all platforms where you have used password haipass. If the site has some malfunctioning or disservice you will not be able to have your passwords during the time the site is down. If this happens, i advice the user to change temporaly the password of the account that you need to access. Copy the content of the site and its idea. Try to hack the site in any way without a written consent. The Haipass owner is not liable in any way for any damages or problems related to the use of Haipass. It is also not liable if the secret phrase is discovered in any way due to a lack of the user. The Haipass owner is not responsible for any damages or problems caused by any malfunction of the service or site. You must be aware that due to any malfunction of the site you will not be able to have your passwords during the malfunction period. Haipass.com does not save anywhere the passwords that are generated. The information that is collected is information about the Http requests and the number of passwords that are generated for statistics purposes.